Here is a fun thing just for myself. 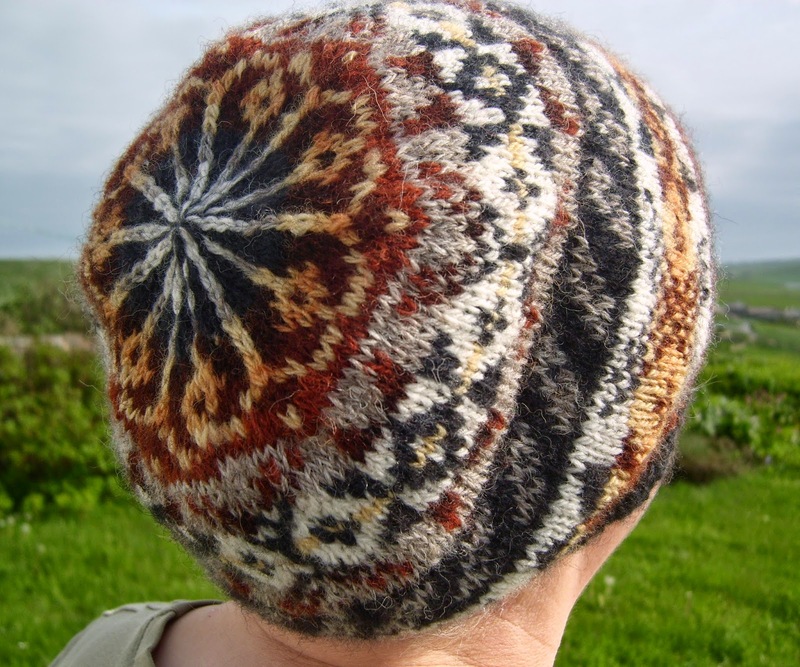 The Wool Week pattern from Jamieson & Smith, designed by Hazel Tindall came out a couple of weeks ago. The idea is to knit one and wear it at Wool Week in October. So I thought I would join in the fun - and maybe knit it now or it would never get done. It will be one for myself, I really like the pattern and the loose, slouchy fit. I can get it over all the hair. 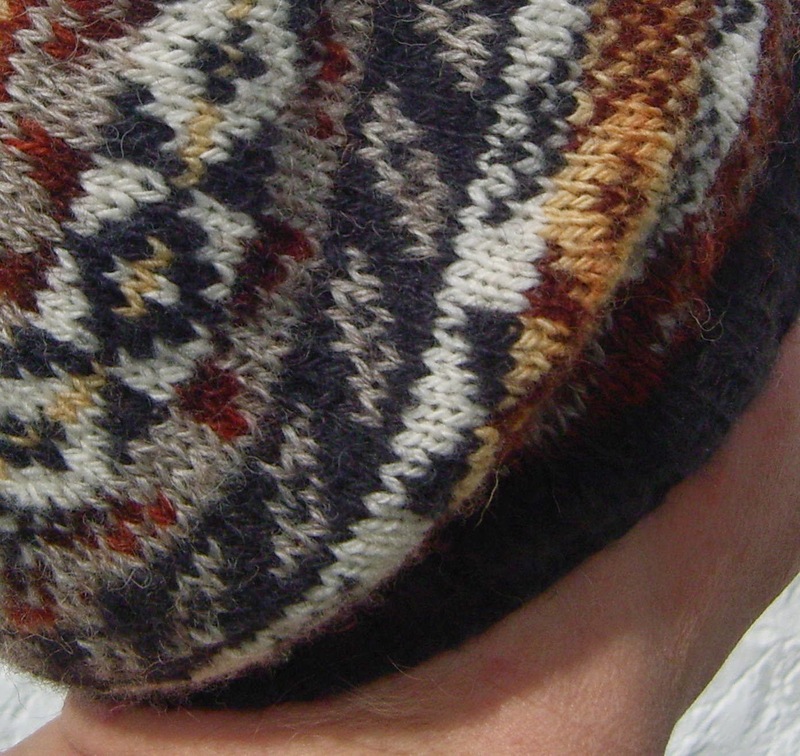 The handspun hat I have right now is getting a bit old and in need of a replacement. My handspun yarn is a bit thicker than J&S jumper weight so I had to think how to get it the right size - without knitting a swatch. Oops, you are always advised to knit a swatch. Anyway, I didnt, but luckily it came out right. Love where the crown sits down the back of the head, shows it off really well. I knitted the small size for the number of stitches, and the next size up for the pattern but worked 1 plain row where the pattern said 2 plain rows. That reduced the number of rows sufficiently to get the 2nd peerie pattern in above the rib. With the thicker yarn and a bigger size needle, and thankfully, it knitted to the correct measurement for the size 2 hat and fits great. I didnt change the colours too much. I did need more blue in it though, so a blue rib and the 2nd peerie pattern has a blue grund. Strangely I have less blue in the crown than was asked for in the pattern, but found that I had colours to shade through from the red to the blue. The yarn is all my handspun and from Shetland fleece. 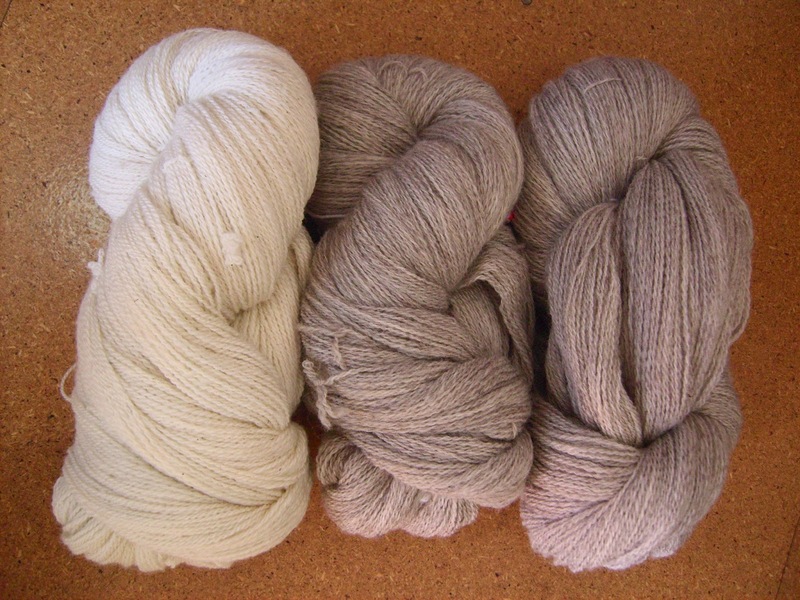 There are 2 natural colours - white and grey - with the other colours in natural dyed yarns. The dyes are logwood blue, 3 madder red shades dyed on fawn, mid and dark greys. For the yellow I found 3 colours, 2 yellows and an orange, which worked well together and as I did not have much of each of them (I was in a basket of clews for these), I just used all 3. The yellows are - lichen (dyed in Norway), and onion. The orange is from a mushroom (dyed in the US - we dont have any forest mushrooms in Shetland). My hat is now ready for Wool Week and the winter. That done it is back to work - ah, more spinning and knitting. Recently I spend time at the John C Campbell Folk School in North Carolina, USA, where I taught a class on spinning for Fair Isle with Martha Owen. 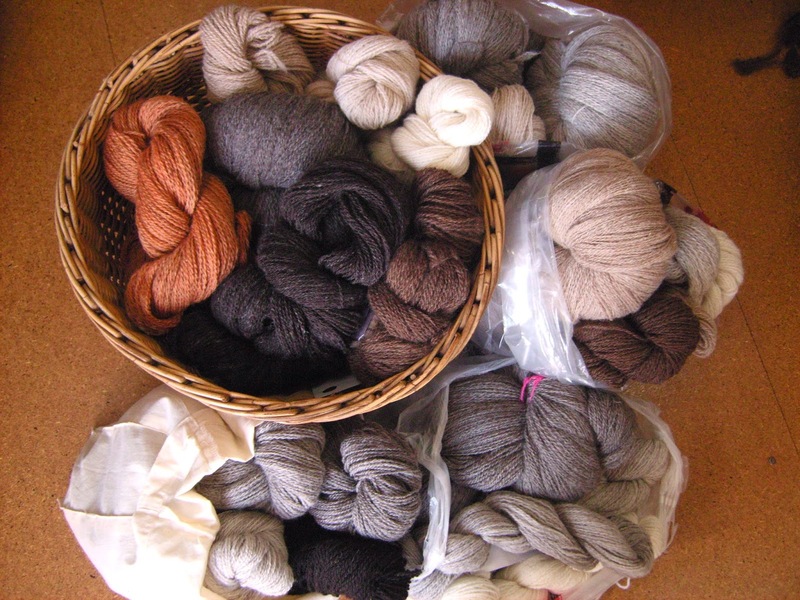 We started with Shetland fleece in white, light grey and fawn which we dyed - natural dyes, of course - then carded, spun, and lastly each student knitted a sample swatch of their own design, with the yarns they have produced. An ambitious class but all good fun. After all that hard work I though some fun was in order, so I took a class - spinning, of course, what else - with a good friend of mine, Melissa Weaver Dunning. A very different type of spinning for me. 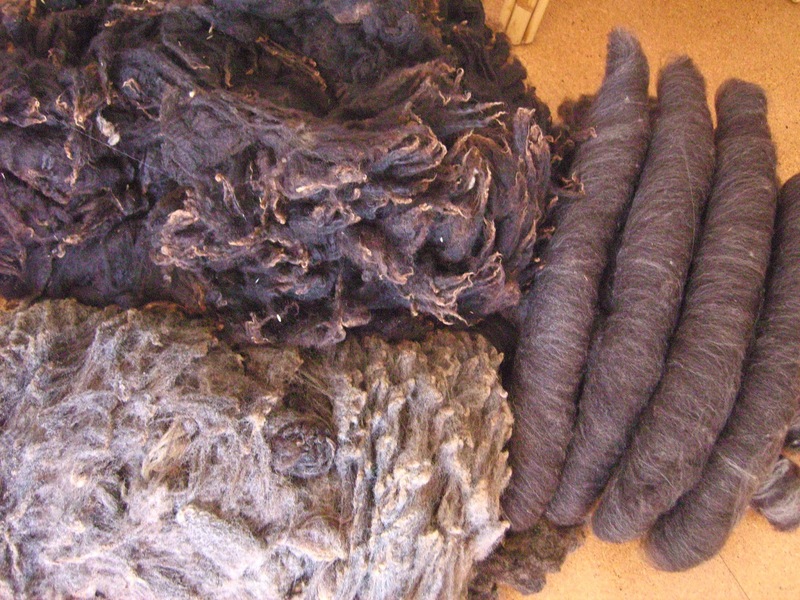 Not from my normal raw fleece and not Shetland fleece, but painted roving, and Merino and silk!!! It was a great week. The 'thinking hat' had to go on to begin with to decide on the colours I wanted, then after the first few exercises, how to continue to get the result I wanted, and also what I was going to do with the yarn when it was finished. I did most of the spinning and started the knitting during the week class and finished it at home. Here is the result. 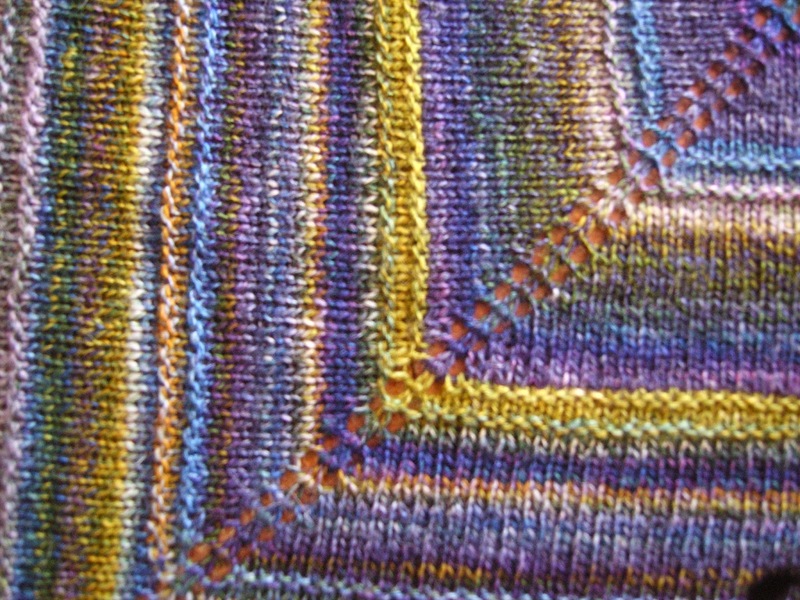 I knitted a simple square with garter to mark where the changes in the yarn is. It can fit on either a single bed or a double (just), or round my shoulders, it looks nice over a chair or on the back of the sofa. .......so what have I been doing since I last posted a blog? Well really just the same as usual, spinning, knitting, teaching. There is too much to detail here, other than to list a few highlights, namely, teaching in Norway, the USA; Shetland Wool Week; setting up a broken diamond twill on the warp-weighted loom to accompany the display of a tunic dating to 300AD; loads of spinning; a little knitting; then writing for the book 'Shetland Textiles 800 BC to the present'; and spending time with family, especially the grandchildren. 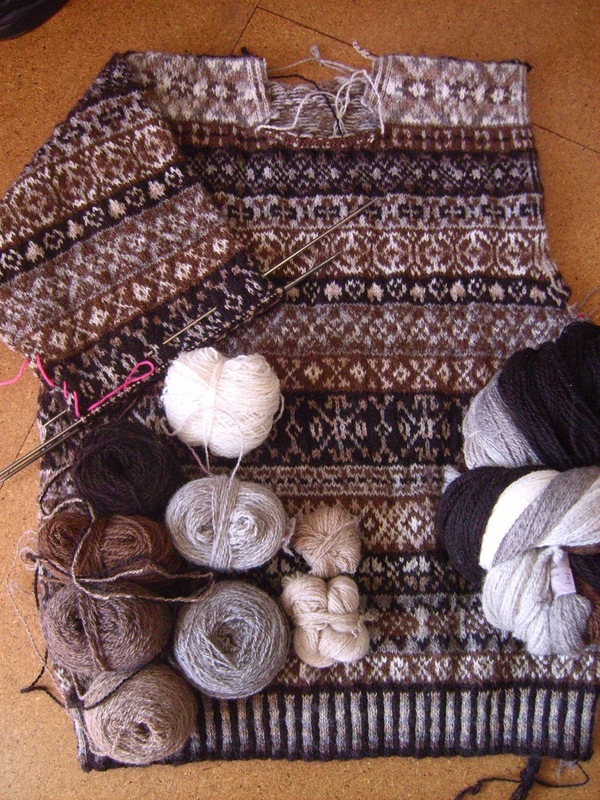 Here is what I am knitting at the moment. 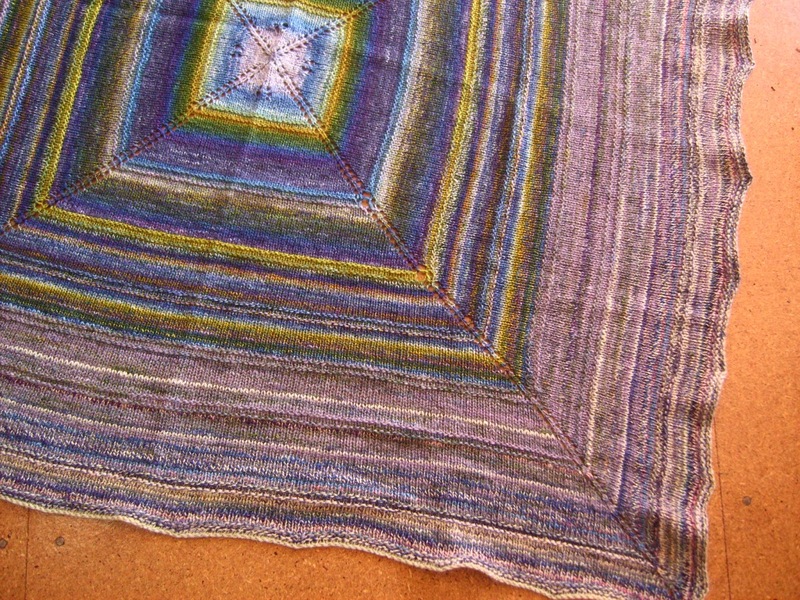 It is a copy of an allover I knitted for myself several years ago, and this will be the only copy I will knit from it. It will remain an exclusive garment. Stock is low right now as I am spinning for further commissions, there is quite a full order book. ﻿﻿There is a stash of yarn but it is mostly being spun for commissions. These are yarn being set aside for 5 commissions. Mostly in natural colours, but there is one madder orange in there and some of the grey has to be dyed in indigo and logwood. White and silver grey yarn waiting for a madder and an onion dye pot. .. and the next fleece to be spun. 1.5 kilo of black, 1 kilo of dark grey and rowers (rolags), part of a 500 grms batch of charcoal.